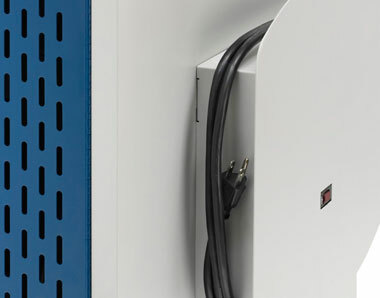 Digital timer rotates power to each shelf on three minute cycles, allowing for efficient charging on one 15 Amp wall circuit without tripping a breaker. UL Certified electrical system. 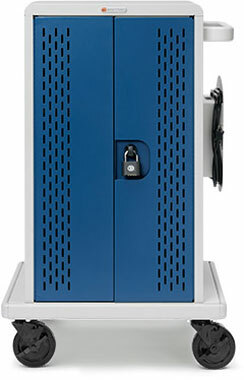 Each slot features a notched hook to keep each charging plug from falling back. Opening between the front slots and rear electrical are is limited to prevent stealing charging cables from reaching through the front. 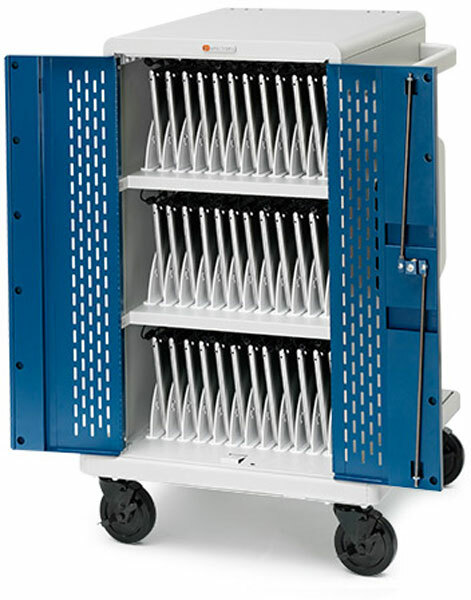 Each shelf’s electrical includes a storage bin to hold charging bricks and excess cable. 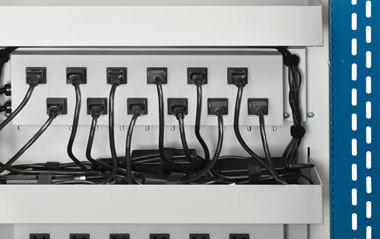 Electrical outlets are spaced to accommodate larger charging plugs such as a MacBook Pro.